Standing shivering on a start line isn’t new for me, but last night was different. For a start my husband was stood next to me in his club cycling gear. For another I was wearing a fleece jacket (still covered in mud from the day’s allotmenteering) with a baggy waterproof over the top whilst we were surrounded by extremely fit looking people in tri-suits, compression socks and not much else. What on earth was going on? For an event that was called the ‘Mega Manic Midsummer Midweek Duathlon’ it was surprisingly wintery last night. The rain from the day continued on into the evening, the temperature dipped and the wind got up. Having seen the race on husband’s cycling club’s Facebook page where they suggested teaming up with a runner and entering as a relay team, we thought it would be great to enter a race together for a change. The duathalon wasa two mile run, followed by a ten mile cycle, finishing off with a final two mile run. 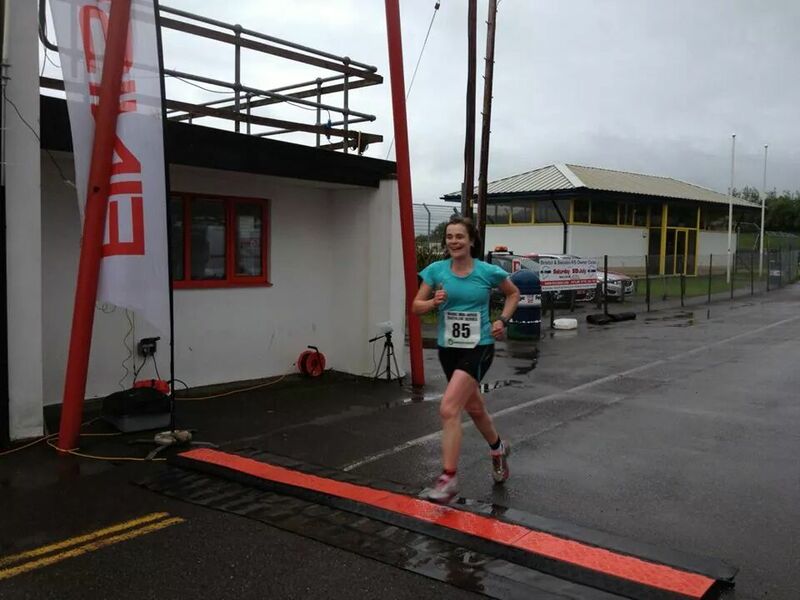 It was fairly manic getting organised to get out for the race as I left everything until my husband arrived home on the faint hope he’d chicken out and we wouldn’t have to go. Curses – he was made of sterner stuff – so off we went. At the sound of the air horn the race started, the whole field shot off and I trailed behind running at what was around my 5k pace. I overtook one person and then sooner than expected I was heading towards the transition area and my waiting husband. I quickly unstrapped the two timing chips from my ankles and swapped them for my faithful jackets. Then husband was off, clip clopping out of transition towards the track (it’s very hard to run in cycling shoes). Now it was my turn to wait whilst he did his stuff. It was cold and wet standing around, and I’d been right to asume this would be the hardest bit. I counted him around his 5 laps of Castle Combe circuit, jogging up and down to keep warm, then stripped off my jackets ready to go again. Again we managed to switch the timing chips between our legsoff his legs, and then I was away. When I had finished my first run I think there were 2 people behind me. When my husband finished his 10 miles there were still quite a few people on the track so I knew he’d made up some time for us. As I ran I could hear people coming up behind me, and sadly two people did overtake me. However two miles is not very far to run and I was soon heading for the finish line. It was a relief to finish, and after a couple of minutes I was very glad to put my jackets back on again. The running was good fun, it was amazing to see just how fast people can run, but the waiting in the middle was as cold and wet as I thought it would be. Would we do it again? Possibly. Husband had been reading that he could take minutes off his time if he had a proper time trial bike. However since that isn’t going to happen maybe I’d better try and speed up instead! After all this activity yesterday (don’t forget I also worked on my allotment for two hours in the rain), my thighs were stiff. So today’s Juneathon activity was to go back up to the allotment, but on my bike when my legs were crying out for me to go in the car. 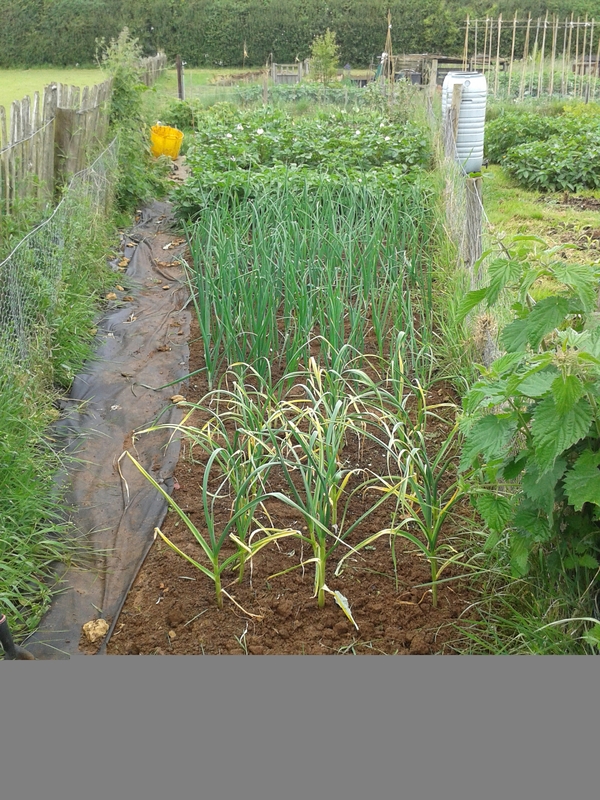 This morning it was drizzling, yet I cycled up to the allotment, worked for 2 hours in the steadily increasing rain, and cycled home again. Was that myJuneathon activity for today? It has been in previous years (and may be later this month) but not today. Oh no, today I have something much more exciting* planned. I’m doing a duathalon. I know I’ve been enjoying cycling on my new bike but the plan is that I just do the running and my husband will do the cycling. It was sounding like such a great plan, and a way for us to enter something together. Then we saw the weather forecast for today. And then he foolishly Googled the results of the last duathalon event. It’s a 2 mile run, followed by a 10 mile cycle, finished off with another 2 miles of running. 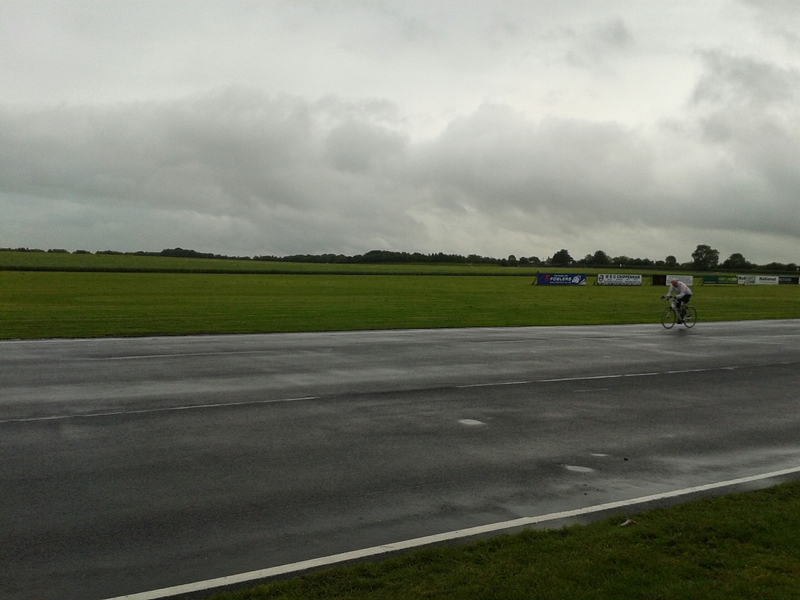 It’s at Castle Combe circuit again, so it’s flat and traffic free. It’s also fast, and looking at the times for the runs I’ll be last by a few minutes. Sigh. Anyway. I must get ready now, so I’ll let you know how it goes … tomorrow. Wish me luck.